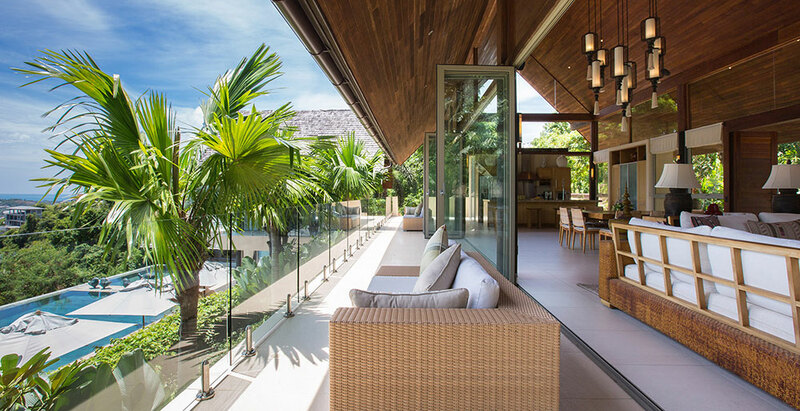 Villa Avasara is part of Panacea Retreat estate, located on Bophut Hills, north coast of Samui. This five-bedroom villa features pale wood and rattan furnishings, natural fabrics and comfortable ambience. Each room is appointed with king-size or twin beds, rain shower bathroom and terrazzo tub and fully-stocked mini bar. On centre stage is the generous 20m infinity pool with its whimsical bronze bird sculptures. This clifftop villa has a villa manager, housekeepers, service attendants and an on-call private chef, available to cater for individual guest needs.